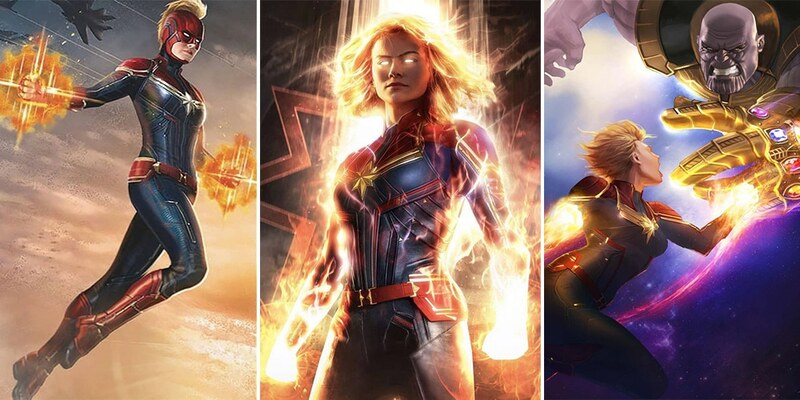 Marvel fans will have to wait for a few more days before Captain Marvel hits the theaters. However, it’s safe to say that when compared to other Avengers, this character is still unknown. Yes, we will see Captain Marvel team up with Captain ming up with Avengers to take out Thanos in Avengers: Endgame. 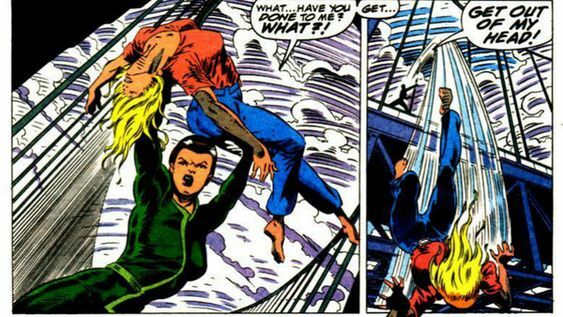 Even though Carol Danvers has been a leading name in the comic world, moviegoers still don’t know much about her origin. 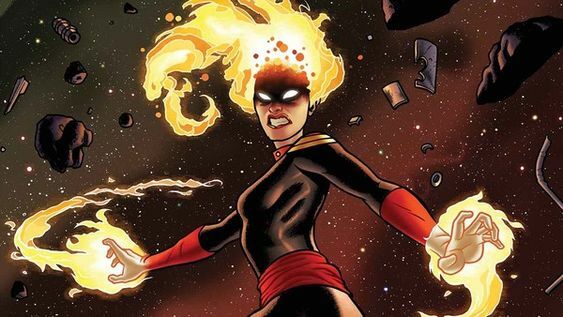 She was once rebooted in 2012, and now the future looks very bright for Carol Danvers. So today, we will go through 7 biggest feats of strength achieved by Captain Marvel. 2013’s Infinity War was a big influence on 2018’s Avengers: Infinity war. So let’s take another look at the original story to get a better idea of how Captain Marvel will be depicted in April. The comic sees Carol go against Thanos, but she also takes a part in leading an intergalactic coalition againts Thanos’ army. This struggle gets so desperate that Avengers had to sanction the release of the Annihilation Wave against the Builders. Captain Marvel has taken on Thanos twice. Once during the Infinity War and the other during Civil War II. She even defeated Thanos during the latter but that cost her the life of War Machine. During Infinity War, Thanos got double crossed by his own minion, Ebony Maw. Thane, Thanos’ son then got his father into a state of perpetual death. Secret Empire may have caused a lot of mess, but Captain Marvel emerged as the better character. In control of a space agency called Alpha Fight, Carol is trapped outside of Earth’s atmosphere where an evil Steve Rogers takes control of the planet. 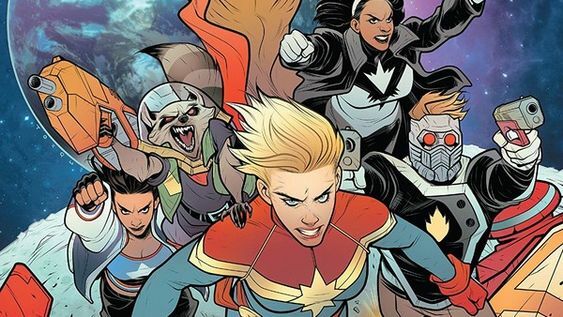 Captain Marvel gets joined by host of cosmic good-doers, including her colleagues on the Guardians and Ultimates. She went on to decimate many Chitauris. Traveling between solar systems and galaxies, Carol often found herself slap-bang in the middle of alien disputes. Captain Marvel has never been too scared of putting her foot down. In a similar instance, during a battle with a group who were effectively space pirates, Carol hopped out of her ship and took down the leading vessel. There was a time when a chance encounter with Rogue meant she spent a lot of time with the X-Men instead. As most fans would know, Rogue was actually introduced as a villain. She was the daughter of Mystique. Her first target, however, wasn’t Xavier’s team. But, Avengers instead. She went against Captain Marvel and even took all her powers. However, Rogue would later get plagued by Danvers’ memories. Civil War II gave us a spectacular fight between Captain Marvel and another hero. For those unfamiliar with the storyline, the plot revolves around the superhero community. They split into two factions, due to a minority Report-sequel premise involving an inhuman called Ulysses. While fighting, Captain Marvel came out victorious in every single encounter, the last of which pitted her against Tony Stark in one of his most potent armors yet. Al Ewing and Kenneth Rocafort’s Ultimates series may have nothing to do with the universe at the same time. But it certainly laid a claim to being better than the first volume. Omniversal sees Carol team up against Blue Marvel, Spectrum, Black Panther and Miss America to take down Galactus. Carol manages to keep Galactus at the bay for long until the rest of the team enact their plan. Holding off Galactus is a feat not many have achieved.